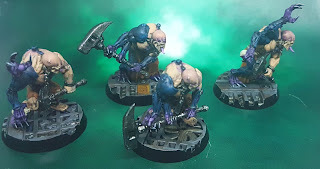 Here are the Aberrants for my Genestealer Cult. 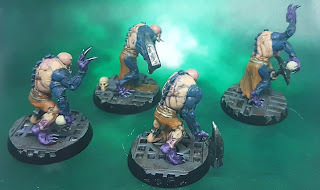 The miniatures are really great and with just two bodies and two sets of arms you can make up four different figures. 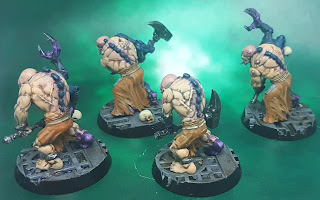 I used the same approach to paint them as I mentioned in my last post, and I went again to Keyan Sark's blog for inspiration. The goal was again to have them ready as fast as possible for the game, so I skipped many of the usual steps I usually have. 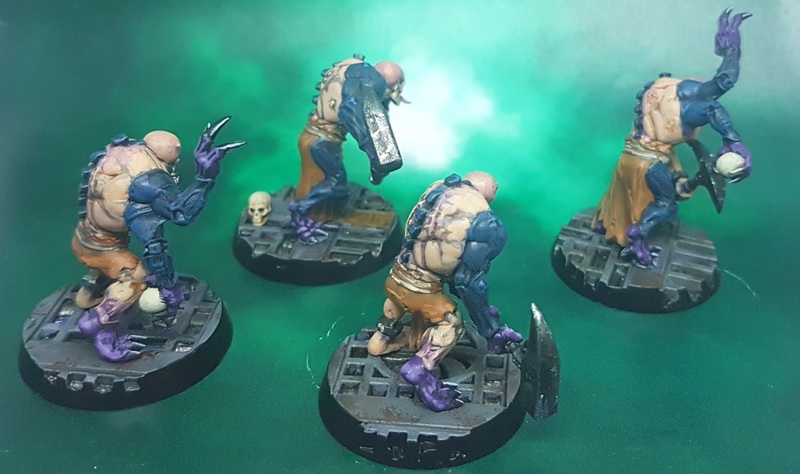 For the genestealer parts I followed exactly the same recipe as mentioned in the other post, but for the flesh parts I used a very simple approach of flesh, wash and flesh again. 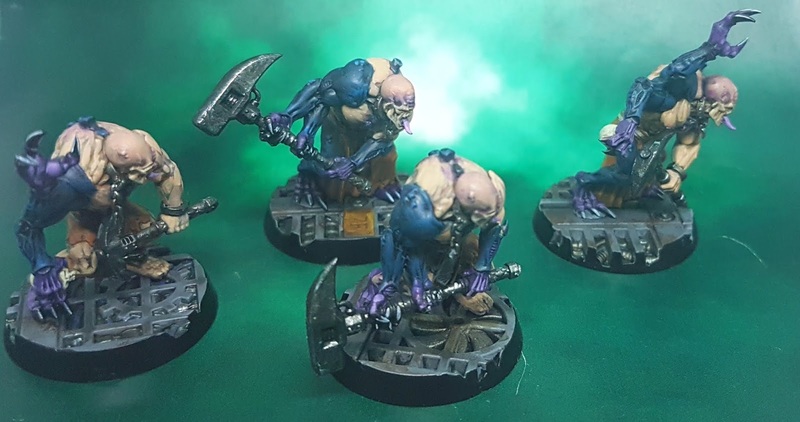 Then I added a glaze of purple on some areas, in particular de head, to change the tone and mix it a bit with the purple of the Genestealer. The clothes were painted on different shades of brown and orange and the metal parts were simply metal, wash and metal for the highlights. The next ones that are on the table are the Magus and the Hybrids, I hope to show them here soon.